Motormouth Enters the Dragon Gate … for Dim Sum! Dragon Gate Dim Sum. Corny? Bombastic? Or plain ingenious? 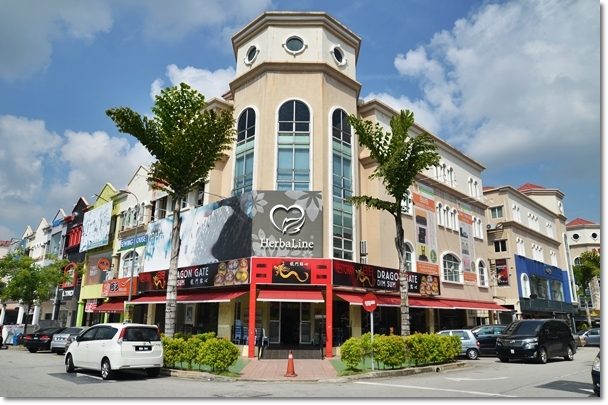 For slightly less than a year, Dragon Gate Dim Sum Restaurant has been operating at this slightly quieter corner of Dataran Sunway, Kota Damansara. (Map to come at the end of post). To no fanfare or barrage of brickbats, albeit the unmistakably-oriental branding and relatively prime location. Spearheading this Dragon Gate movement would be the dim sum ‘si fu’ (master) hailing from his stint in the kitchens of Putrajaya Marriott Hotel, and one whom has learned the ropes from a dim sum maestro from Hong Kong. Arriving circa 9am on a Saturday morning, the crowd was a healthy number of eager diners; mostly families spanning a few generations and a few lost young souls like us. In any case, as in the words of Miss Ang, the very young and petite manager of the establishment, frequent patrons seem to be returning customers. Media coverage was scarce until NST published their story on 3rd July 2012. And they participated on Living Social deals recently. After Jin Xuan started operations around Kota Damansara (near to Sunway Giza), competition has grown stiff and Dragon Gate decided to invest a tad bit of effort to increase visibility and of course, business. 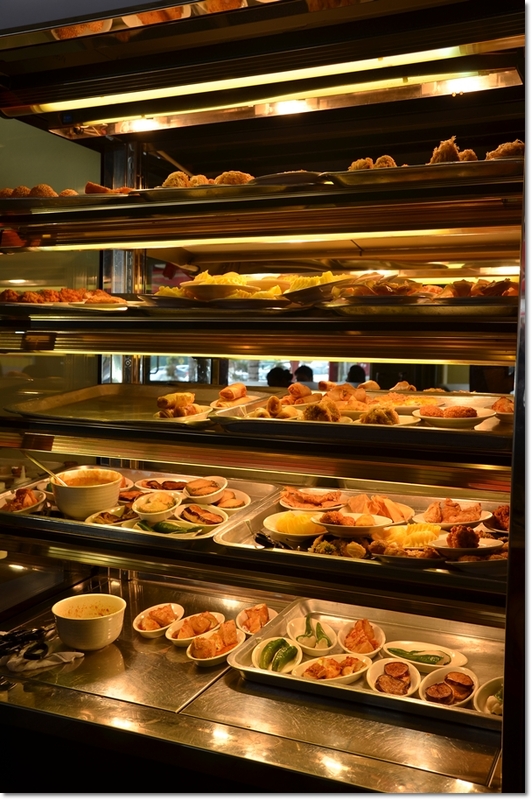 Some of the dim sum served at Dragon Gate are the conventional classics like Har Gau (prawn dumplings), Siew Mai (minced pork and prawn dumplings), Char Siew Pau (BBQ pork bun) and Crispy Woo Kok (yam puff). However, they did good by realizing that to fight among the giants of dim sum legends with a weak artillery of dim sum selection will not work in their favour. Hence the appearance of XO sauce fried radish cake, Xiao Long Bao (Shanghai style of soup in dumplings), Wasabi Shrimp Balls, Bacon Rolls with Honey Sauce, Phoenix Shrimps with Seaweed, and even Siew Mai with Salted Egg! Of course, the funky/weirder creations might take some time to digest or even coercing before the elder generations will buy in. 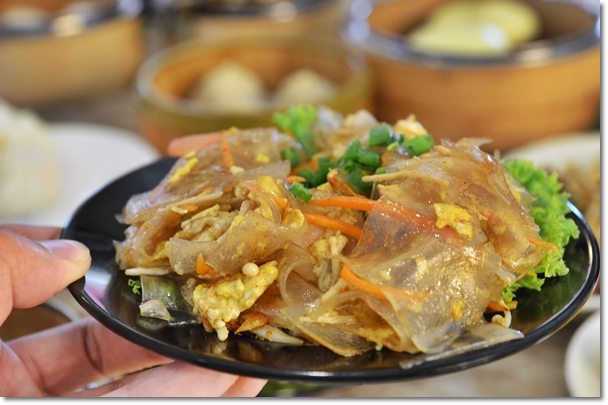 Or the staunch authentic dim sum aficionados to say yes to. The Spinach Hong Kong Chee Cheong Fun did not taste awkward at all in spite of the faint hues of greens dotting the sheets of steamed rice rolls. In fact, we were quite impressed at how good the CCF was; silky smooth and not sticky sheets of rice rolls filled with a mix of shrimps/char siew. Most of their dim sum items featured shrimps prominently, and thankfully the quality of the shrimps used was of above average. 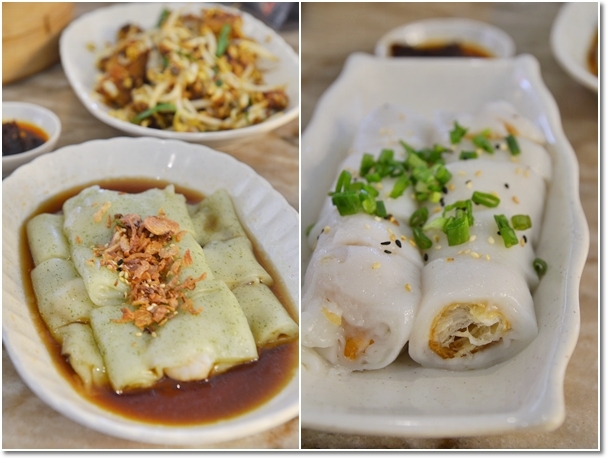 We sampled a few items; the Shrimp Dumplings (Har Gau), Prawn Dumplings with Mayo and Beancurd Sheets with Shrimps (all priced at RM4.20/USD1.40 per serving of 3 pieces) and all three arrived with succulent bites of real prawns, and not frozen-thawed-frozen … (repeat ad nauseam) ones. 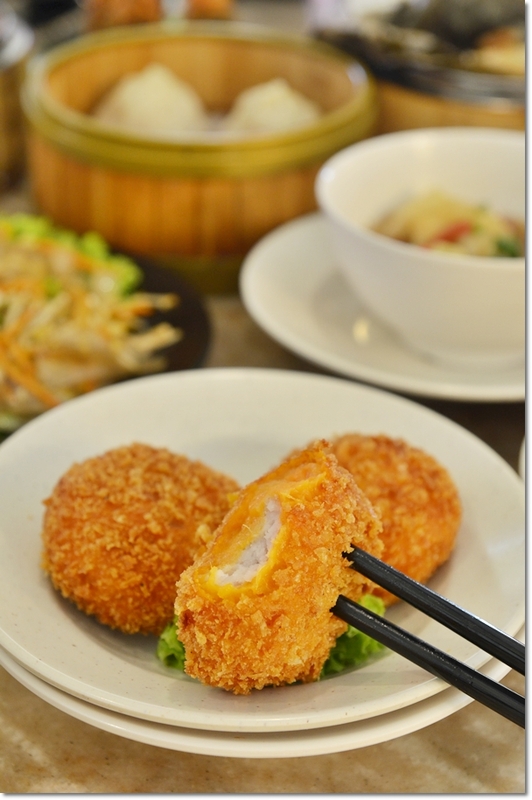 More memorable was the Sweet Potatoes and Yam Cake (RM4.20/USD1.40) that resembled croquettes at the first glance and revealing a sweetish mash of both tubers coated in a batter and deep-fried. A hats off to the very heartwarming combination of Fried Nien Gou (sweetened rice cakes) that you usually buy off the streets, this one. 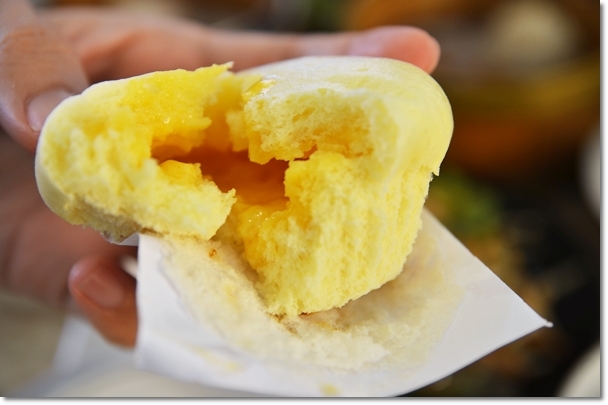 The Char Siew Bao and Lau Sar Bao (Custard and Salted Egg Bun) were average at best though, a slight disappointment since I was rejoicing over the thought of flowing custard (lava-like) from the soft, steamed buns. But alas, the custard within has gelled up. I understood that this was not the usual case though, as Miss Ang apologetically explained that the kitchen might have messed up this time. 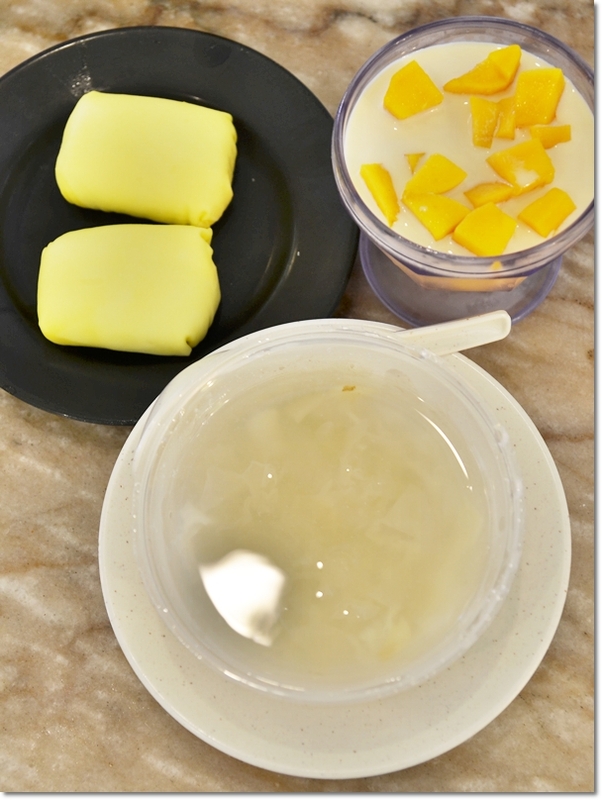 The desserts they serve are Durian Pancake (RM6/USD2), Mango Pudding and Water Chestnut with White Fungus (both at RM4.20/USD1.40). The pancake was a decent try, with more cream than flesh. Yet, satisfying enough that I had no laments for. That being said, desserts are evidently not their forte though. Fill up with their fresh and sumptuous savoury dim sum instead, I’d reckon. 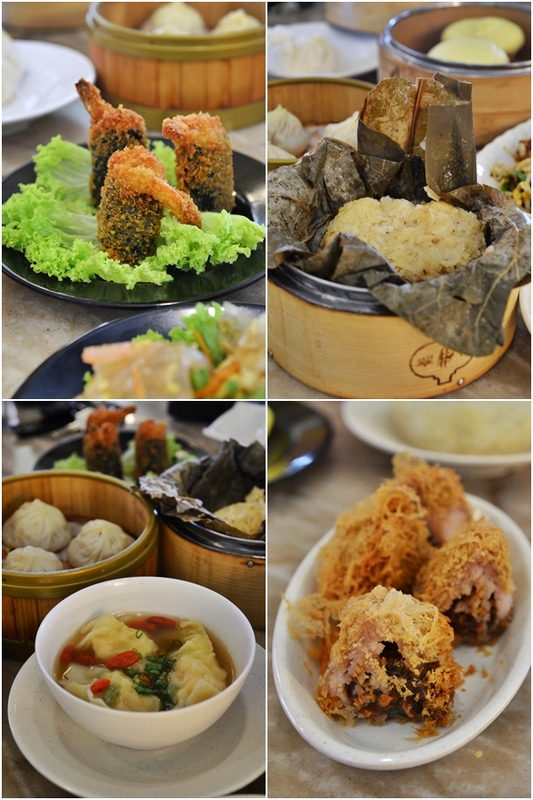 All in all, the dim sum experience ended on a positive note with more hits than misses. 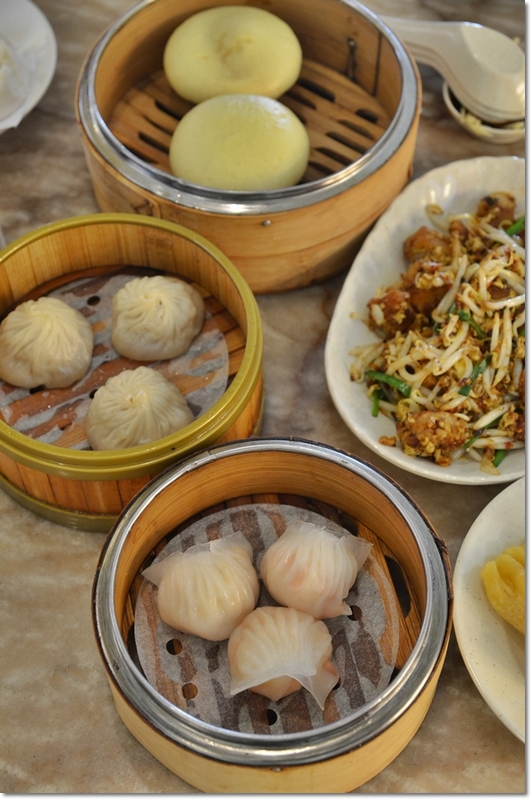 Prices are adjusted to a reasonable level, given the competition from stronger brands and the start up of a new kid on the block against more renowned names in the dim sum industry. Give them a bit more time, and I believe this might just be your next neighbourhood dim sum chain in a few years time. *This was an invited review extended by Miss Ang, the manager of the restaurant. I guess I am one of the regulars of this place cos their dim sum is way much better than Jin Xuan. The ingredients that they used are surprisingly fresh and unlike those that are refrigerated. Hmm…glad to know chef hails from Ipoh too! 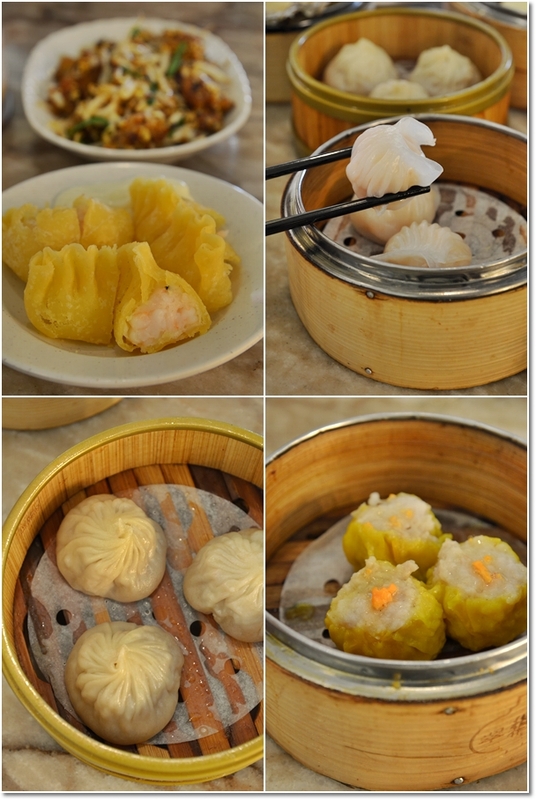 Yeah, some of their dim sum were really one of a kind, and good to know that they indeed make everything from scratch. 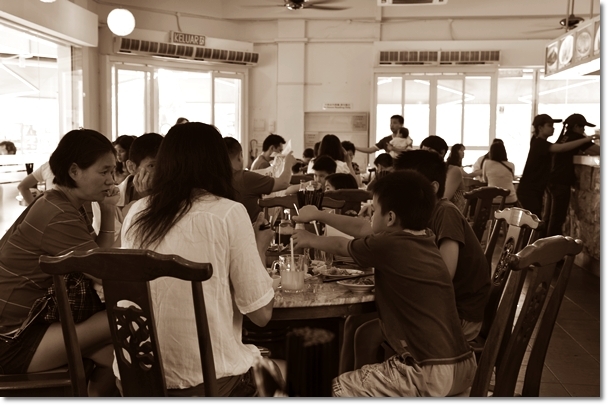 Perhaps a new place for dim sum breakfast with family after I really get bored of Kepong’s offer?